Are you surprised? Did you think we were reporting some terrible crime onboard a cruise ship? No, today we are bringing you information about a different way to spend your Halloween. This is the Halloween Party to end all parties. Have you ever played Hasbro's game of Clue? What if that game suddenly came to life and you were in the midst of it? Would you be afraid? Would you be up to the challenge? Did the crime occur in the Library (above)? Whodunit Productions creates a Live Comedy Murder Mystery aboard Carnival's "Inspiration" that you will become a part of ... as well as try and solve. There are times over the three day cruise that you will be following the mystery and other times when you are free to just enjoy the cruise ... They don't want you to have to look over your shoulder for all days and nights straight! When you board you will be given a role to play for the weekend. Don't worry, if you are on the shy side you can just sit back and watch it all unfold. But if you are not, then you can use your character to find out as much as you can. You see the actors will be mixing among you and in character for the entire show!!! Contact us to select your Mystery Cabin and we'll give you the clues you need to add on the Mystery Fee of $110 per person to transform a normal cruise into an unforgettable Halloween experience. We've just completed our seventh annual appearance at the Streamwood Summer Celebration's Business Expo sponsored by the Streamwood Chamber of Commerce. The Summer Celebration runs the last weekend of July each year and is well attended. We couldn't have asked for better weather. Temperature highs were in the low 80's with a gentle breeze Friday and Saturday. Sunday was a little warmer and more humid with a brief shower. The wind was calmer on Sunday. The fire department had their hose shooting water in the air for those that wanted to cool off. In addition to show-casing local businesses in the expo tent, there were plenty of activities for families. Local bands performed throughout the weekend, there was a parade on Saturday with over 100 entries this year, rides for the children and young at heart, bingo, face-painting, ice cream eating content for the children and lots more. Many volunteers from the village make this a special event each and every year. 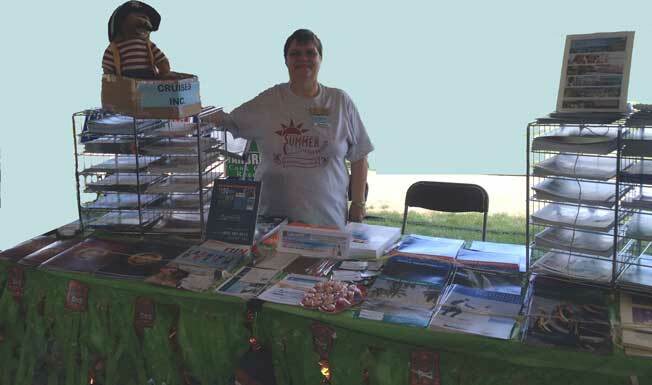 We spoke to many couples, families, and individuals that were interested in getting away for a vacation. As usual, we had a large supply of brochures, which we call "wish books" on hand. One of the most popular brochures was the Royal Caribbean Oasis-class brochure which highlights this marvelous cruise ship. Unfortunately, I couldn't talk with everyone personally this year because I was splitting my time between my booth and the Streamwood Chamber of Commerce's booth. As President of the Chamber, I was kept busy getting the businesses setup on Friday, answering questions at our booth, making announcements, and judging contests. I'd like to thank my Executive Assistant, Donna Lenhardt, who was invaluable in getting the event setup and assisting me throughout the weekend. 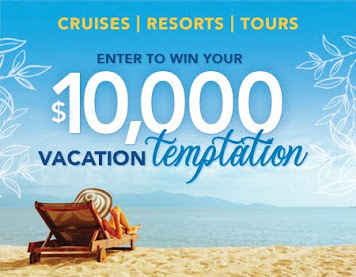 We had a special Royal Caribbean promotion with up to $100 onboard credit for select sailings now through 2014. The exclusive offer runs through August 5th - so be sure to see our website and Facebook Fan Page for complete details or contact us directly. 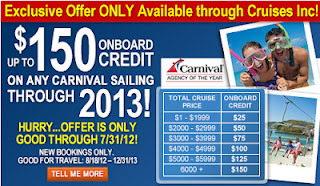 There are many other promotions, including an exclusive Carnival Onboard Credit offer that expires July 31st. For those looking for a Resort Getaway, see our current Resorts & Tours Specials. What would you think if your travel agent gave you a toaster when you booked a Carnival Cruise? Do you remember opening a bank account and getting a toaster? If you do, don't admit it because you will be telling your age. the consumer above and beyond what Carnival includes in the rate. 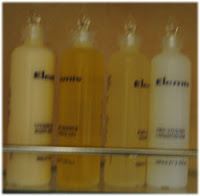 Effective August 1, 2012, value-add booking incentives may only be non-cash equivalent items and have a value equal to or less than USD 25. What that means is you won't be seeing advertisements like the one above any longer. An onboard credit (OBC) would have a cash-equivalent (as would bar coupons, photo credits, gas cards). Cash-equivalent add-ons are no longer permitted. Existing marketing plans that have had previous approval from Carnival, will be allowed to continue through the end of 2012, so some ads may not disappear right away. You could very well get that toaster from your agent. Well, not really likely - but I think we've made our point. After all, how many tote bags does one need? 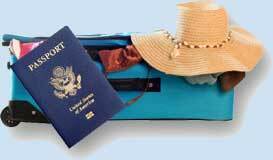 After awhile, if you've been a faithful client, your agent may run out of fresh ideas when they look for a welcome aboard gift for your embarkation day. Bon Voyage bar credit and photo coupons (i.e. 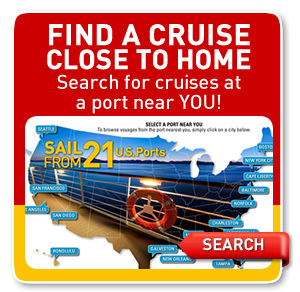 cash equivalent), airline miles, third party cash back offers, reduced or waived deposits, free or discounted insurance, free or discounted shore excursions, free or discounted hotel nights, reduced airfare, gift cards or anything that equates to a cost associated with the cruise are all banned. Carnival believes they are leveling the playing field between all agencies, since value-add incentives were getting excessive in some cases. So this should make it easier for consumers to compare "deals". 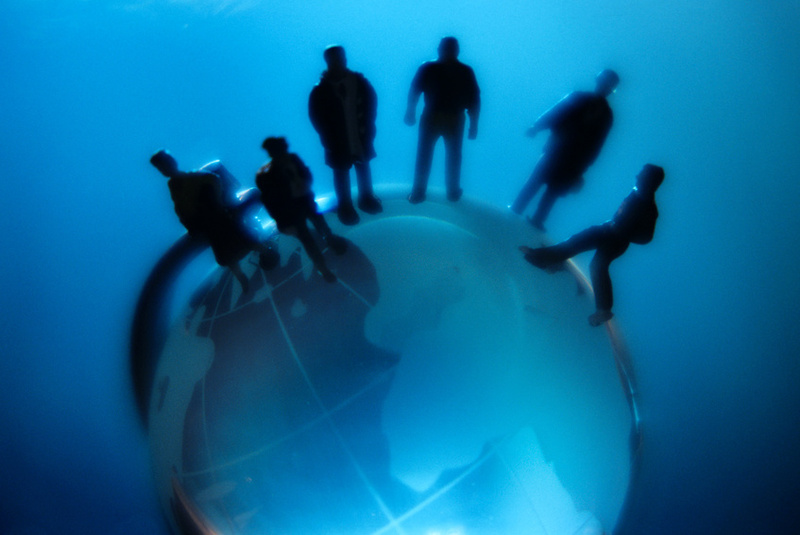 What does this mean to the Travel Agent? It means their hands are tied. For those guests that don't drink, and have been on many cruises, there are definitely fewer choices that can be used as a thank you gift. The agency that offers the "best toaster" might get the business or guests that aren't concerned with personal service and advice, may just bypass the agents completely and book with the cruise line. Carnival believes that this change is a step which ensures that all of their Travel Partners have the equal ability to sell their product at the same great rate. What does this mean for Carnival? Time will tell - one thing for certain, they better adjust their budgets for the downturn in bar credit and photo credit sales. Obviously Carnival is attempting to control what the consumer pays for their cruise this way. It will be interesting to see what other cruise lines do in response. It will also be interesting to see how passengers react to the changes. They may not even notice the change for some time, especially first-time cruisers that have nothing to compare against. We will continue to work with our guests to find them the best value for their vacation dollars. We are happy that great service and advice doesn't fall under cash-equivalent value-add. Maybe Carnival is right - once the prices are equalized, the only differentiation is service. Therefore we feel that we have an edge after all with these new rules. We'll just have to be creative with thank you gifts now. You still have a couple days to take advantage of our July OBC offer - if you want to book one last Carnival cruise under the old rules. After 40 years of cruising, Royal Caribbean told us they learned a thing or two about having a good time at Sea. There’s one rule: Anything is possible. What is the Royal Advantage SM ? It’s Royal's promise to provide guests with the most innovative ships, features, worldwide destinations and personalized service. This year, they’ll continue to transform the award winning ﬂeet into something the Sea has never seen before. 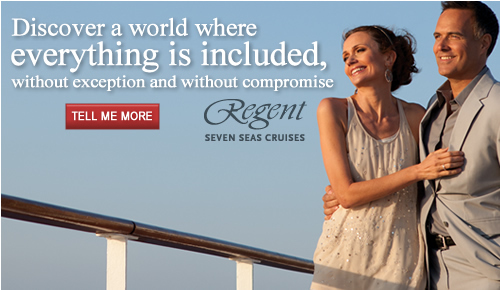 Across all their ships, our guests will ﬁnd new dining options, entertainment, technology and family programming. With these revitalizations, the Royal Advantage is sure to deliver the vacation of a lifetime, every time. On April 20th, Blue Star (owned by Australian mining magnate Professor Clive Palmer) signed a Memorandum of Understanding (MOU) with CSC Jinling to build Titanic II. 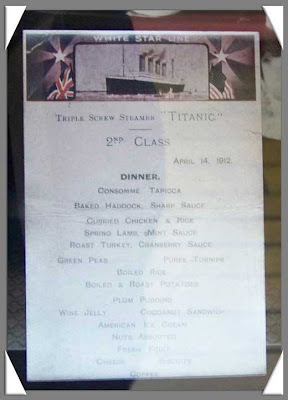 This announcement comes just over 100 years after the sinking of the original Titanic which was built by White Star Line. On July 17, 2012, Professor Clive Palmer released preliminary plans and drawings for the Titanic II project devised by international ship design and engineering company, Finnish-based Deltamarin. According to recent press releases, “This magnificent vessel is being constructed in memory of the heroic people who served on the first ship, as well as the passengers who sadly shared their fate. The Titanic II will follow the original plans as closely as possible, but with the addition of modern conveniences such as elevators and air-conditioning, as well as required safety features, such as sufficient life-boats and other safety improvements. This is the reason why Deltamarin is involved in the project. You might recognize them from other significant ship-builds such as Oasis of the Seas, Celebrity Solstice, and Celebrity Equinox. The Titanic II Preliminary General Arrangement Plan and Preliminary Midship Section Drawing depicts nine decks complete with first, second and third class, officer and crew accommodation as well as the insertion of a new ‘Safety Deck’. 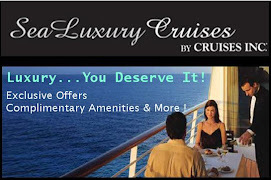 Modern cruise lines offer passengers choice of cabin categories. The price of the cabin varies, just like it did in the days of the original Titanic, based on location and deck. 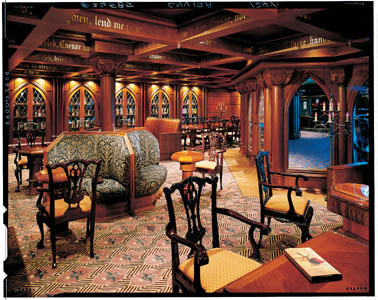 Cabins located mid-ship bring a premium over similar accommodations located in the aft or bow sections of the ship. 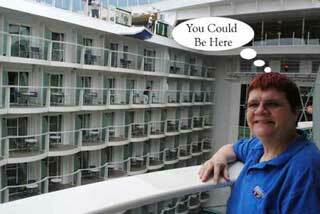 Of course, there are now different classifications of cabins, such as interior, outside, balcony, and suite. 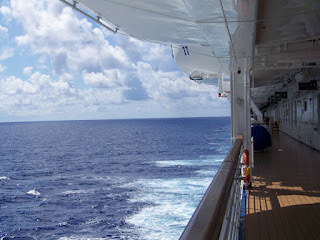 Specking of the Oasis of the Seas, it has about 37 different cabin categories. So, first, second, and third class accommodations are definitely much simpler to comprehend than modern classifications. 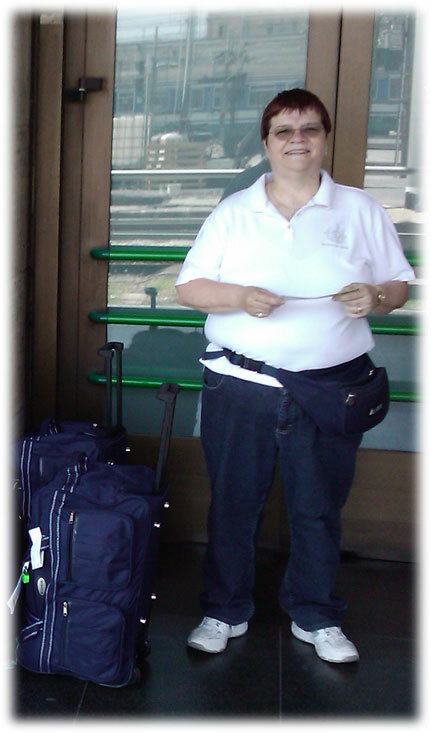 Just like with rail travel in Europe, the class of service dictates where the passenger has access. One would assume the more affluent traveler would purchase the premium accommodations and thus have access and service commensurate to the fare. Speaking at a press conference in Brisbane, Professor Palmer indicated that pensioners and anyone traveling in steerage (the term for the lowest class) would not be allowed in the casino in an attempt to prevent them from over-spending. While we might applaud his desire to look out for his guests, he might be missing out on revenue and offending some of his guests. While passengers can afford higher accommodations, they sometimes choose lesser cabin categories for various reasons, including conserving their funds for gambling. On modern vessels, there is no restriction to the casino based on your cabin type. We will continue to follow the construction of Titanic II, providing updates here and on our Facebook page. The pre-trial hearing for the Costa Concordia disaster has been continued until October 15th due to technical difficulties analyzing the ship's "black box". 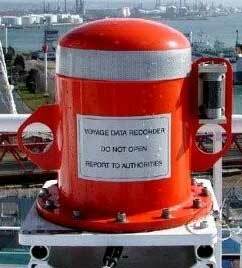 The Voyage Data Recorder (VDR) would look very similar to the one pictured here courtesy of Maine Insight. It's purpose, much like a similar device on an airplane, is to capture critical data about the ship which could be used in an investigation. In addition to capturing vital data, it is capable of recording up to 12 hours of voice data, which would be very useful in the investigation. Sensors are located on the ship's bridge, and other prominent locations, from which data is constantly collected and stored in the unit Conversations from the bridge could be manually triggered as well, such as during an incident, so that a fresh set of data would be gathered starting from that point in time. Data is compressed and digitized for storage in the protective storage unit, mounted in a safe location. There have been reports prior to today that the VDR on the Costa Concordia was faulty. An email leaked to Italian media claimed that a faulty black box, open watertight doors, faulty ship instruments, and unapproved maps were partially responsible for this terrible accident. When Judge Valeria Montesarchio rescheduled the hearing today, we learned that it is indeed possible that there were some issues with the VDR. The findings from that unit were to have been made public today. Will Cruise Ships Be Banned From Venice? Earlier this year we wrote about the concerns raised by UNESCO about cruise ships impact on the World Heritage Site of Venice. Following the Costa Concordia disaster, the organization called on the Italian government to impose restrictions on large cruise ships in Venice. See Concordia Disaster Rekindles Venice Restrictions for details. 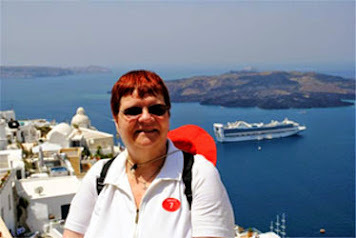 The picture above was taken by us during a recent Mediterranean voyage which ended in Venice. You can see the balcony railing on the left which gives a perspective of how close the ship passed the heart of Venice. We were just about to pass St. Mark's Square as this image was captured. The state of the lagoon is a deep cause of concern. "The wash churned up by the ships is hollowing out the seabed and gradually turning the lagoon into an inlet of the Adriatic," warns Angelo Marzollo, the author of a UNESCO report. "The erosion is particularly bad in the southern part." Earlier this week, news surfaced about a law that was under review by the Italian Parliament which would give the city council powers over the city and surrounding waters. This bill, under review of an environmental committee, was developed to safeguard Venice and the lagoon. Those in support of the legislation would call for ships over 30,000 tons to be required to moor outside the lagoon. Unfortunately, there currently isn't an alternative solution to docking at the cruise terminal at the end of the Grand Canal, so nothing has been changed to date. More than 600 people -- porters, mooring, security, hospitality and tourism operators gathered at the Venice passenger terminal to support the cruise industry. Venice relies heavily on tourism and the supporters rallied to call attention to the more than 3,000 jobs made possible by the cruise ship industry. There are those that say cruise passengers spend little money in Venice during their stays, so they question the value of the passengers to their economy. One thing is for certain, something needs to be done to protect Venice for generations to come and also safeguard the workers whose livelihood depends on tourism. We will continue to watch this story as it develops. Meanwhile we suggest you plan a cruise to Venice as soon as you can before changes are made that prevent you from having the experience of sailing into Venice. It is an experience that you will cherish for the rest of your life. Seeing the canals from the ship is truly a unique perspective. 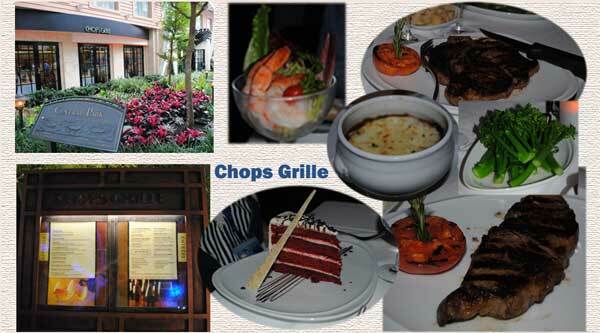 Were you aware that Royal Caribbean offers some of the finest specialty dining options at reduced prices? Our Facebook Page subscribers learned that today before we shared it with the general public (and they have all the inside scoop on the offer in a handy chart). We just came back from attending our mid-year Regional Conference which was held in Cleveland Ohio. On hand during this two-day training event were many of our land and sea travel partners, including Royal Caribbean. The content you see on our FB Welcome page depends on your status. If you have "Liked" us, we'll take you to a page with the latest inside scoop and possibly even some special "Only for Likers" offers. This content will be updated periodically, so you'll want to subscribe so that you learn about news as it happens. 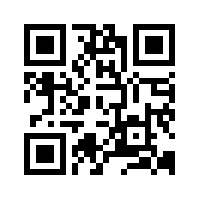 We'll give you a little more information here to wet your appetite. There are four Royal Caribbean ships that currently participate in this special program. Hopefully you already are aware that when you are on a Royal Caribbean ship you can choose from a variety of delicious complimentary experiences, or indulge at specialty restaurants where you can choose anything you’d like oﬀ the menu for one small cover charge. Royal Caribbean has introduced Dining Packages on select ships in the fleet. We suspect that as Royal Advantage continues to be rolled out, this program will be expanded. Our FB fans will be among the first to learn about additional changes to this and other programs. On July 13 at 11 a.m. EDT, Tropical Storm Fabio's maximum sustained winds were near 70 mph, just 4 mph under hurricane status. The storm was about 500 miles west-southwest of Mazanillo, Mexico when it became the fifth hurricane of the 2012 season. We will continue to monitor this storm to see if it impacts any weekend sailings. River cruising continues to rise in popularity across both the United States and abroad, especially among travelers seeking more intimate experiences to more exotic locales. Despite the myth that river cruising is only for the retired set (and it is a myth), river cruising is emerging as a popular vacation for younger travelers who want to immerse themselves in the culture of a region while enjoying the creature comforts of home. 1. Exotic Destinations. Getting up close and personal with the wildlife of the Galapagos or taking in the charm of the Mississippi are all possible on todays' river cruises. AmaWaterways has added more interesting locations with cruises in Namibia, Russia, Vietnam and Cambodia. Uniworld Boutique River Cruise Collection is also even offering travelers a unique journey through Italy's Po River, beginning in 2013. These destinations open up access to places unreachable by large ships and create an intimate connection with the cities they visit. The best part about river cruising is the views - most ships are 100% balcony staterooms, including those aboard Uniworld's Douro Spirit or Avalon's Victoria Jenna. 2. Experiential Cruises. River guests can enjoy trips tailored to their tastes with programs just for them. Food and wine aficionados should consider the `Culinary Delights' itinerary from AmaWaterways. Once aboard, guests can work with a local chef to plan menus for their entire voyage, shop in local markets for ingredients and prepare their own meals! Guests seeking more adventure can sign-up for bike tours that let you travel alongside the ship from port to port, taking in the scenery as you go. Tech-savvy travelers who need to stay connected will now have access to onboard Wi-Fi and those looking to stay fit will love the fact that most river vessels now have onboard gyms. 3. More Choices. As river cruising demand continues to boom, more ships and destinations are being added for cruisers to experience. Avalon and Viking, for example, are both expecting significant capacity increases in their fleets for the 2013 season. Viking will add six new longships in 2013 and Avalon will introduce two additional ships. Cruisers are also finding more choices while aboard from customized dining experiences on and off the ship, to specialized excursions. 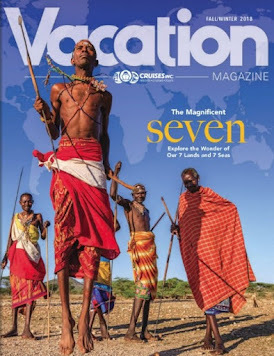 River cruising continues to highlight the destinations it serves by immersing cruisers in the culture. Whether it is because of the out-of-the-box destinations, local flair or intimate venues, more travelers are opting for river cruises to truly escape. As innovation shapes the industry and more people see the value in river cruising, finding the right ship - and itinerary - can be tricky. A professional travel agent can step in and help navigate the options, offering the right choice for your personality, interests and budget. For more information, click on the following image / link. There are currently two hurricanes being tracked by the NHC in the East Pacific, with the potential of a third storm further East. Both of these storms are heading West away from Mexico and are not posing an immediate threat to land. Hurricane Emilia has reached Major Hurricane (Category Three) status but is now slowly weakening. MAXIMUM SUSTAINED WINDS ARE NEAR 50 MPH...85 KM/H...WITH HIGHER GUSTS. WEAKENING IS FORECAST DURING THE NEXT 48 HOURS...AND EMILIA COULD BECOME A POST-TROPICAL REMNANT LOW BY LATE SUNDAY OR MONDAY. A tropical depression formed in the Eastern Pacific on July 4th, grew into Tropical Storm Daniel on Thursday and Hurricane Daniel on Friday. It is heading west with no immediate thread to land. It is headed towards the Hawaiian Islands, however, so we will continue to monitor the storm. Captain Francesco Schettino, Captain of the Costa Concordia when it ran aground off the coast of Giglio, Italy, was released from house arrest by Italian judges on Thursday. He no longer has to remain confined to his home in Meta di Sorrento near Naples but must remain in the town. 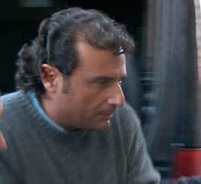 Schettino is accused of multiple counts of manslaughter, causing the accident, and abandoning ship prematurely. He would also no longer be bound by the strict conditions of house arrest, which prevented him from communicating with anyone apart from his lawyer and close family. The judges' ruling said that the period Schettino had spent under house arrest had already had a deterrent effect and he would remain under adequate supervision by authorities. The first, largest, and most famous signature is that of John Hancock, President of the Continental Congress. The youngest signer was Edward Rutledge (age 26). Benjamin Franklin (age 70) was the oldest. Two future presidents signed: John Adams (second President) and Thomas Jefferson (third President). Not all of our trips are cruises. 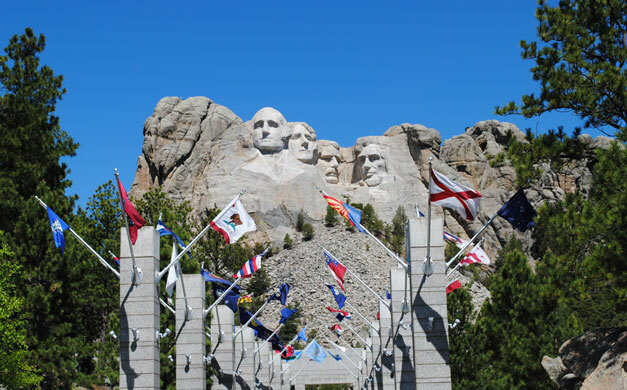 There is plenty to see in this great country, especially if you are willing to spend some time in a car or other motor vehicle. We headed out west towards Montana, and stopped overnight in South Dakota so that we'd be able to visit Mount Rushmore National Memorial in the morning. As you can see from the pictures below, we couldn't have asked for a better day - the blue skies offset the monument beautifully. The day before, the people weren't as fortunate as the mountain was socked in by fog and rain for most of the day. This was Memorial Day weekend, and there were some veterans on hand raising funds for their fellow comrades. The Mount Rushmore National Memorial is a sculpture carved into the granite face of Mount Rushmore near Keystone, South Dakota, in the United States. 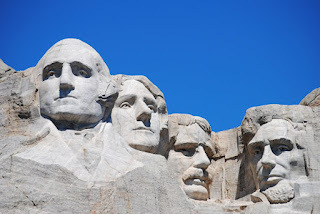 Sculpted by Danish-American Gutzon Borglum and his son, Lincoln Borglum, Mount Rushmore features 60-foot (18 m) sculptures of the heads of former United States presidents (in order from left to right) George Washington, Thomas Jefferson, Theodore Roosevelt and Abraham Lincoln. The entire memorial covers 1,278.45 acres (5.17 km2) and is 5,725 feet (1,745 m) above sea level. The tallest mountain in the region is Harney Peak (7,242 feet or 2,207 metres). The entrance to the National Memorial is lined by the 50 state flags. The inscription on the base lists the state name along with the order and year that it became a state. Take some time to explore this great country. We'd be happy to help you plan a road trip or, if you don't want to drive yourself, there are tour companies that will do the driving for you. 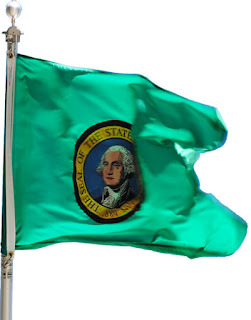 What amazes us is that the early settlers didn't have GPS or maps, but yet they headed west to forge a new nation and we owe it to them to tour the country. Bring history alive for your school-aged children. On behalf of the global cruise industry, Cruise Lines International Association (CLIA) and the European Cruise Council (ECC) announced that the cruise industry has adopted two new safety policies. These new policies were adopted in the wake of the Costa Concordia disaster in January of this year. 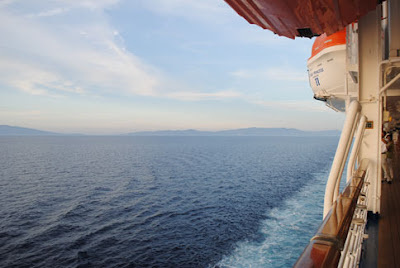 The policies address issues related to the recording of passenger nationality and the common elements of musters and emergency instructions, result from the Cruise Industry Operational Safety Review launched in January 2012. 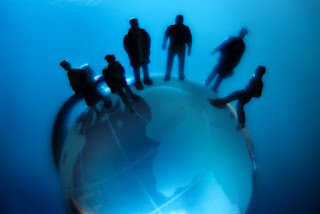 The Nationality of Passengers policy was developed in response to the request of governments at the May meeting of the International Maritime Organization (IMO) Maritime Safety Committee meeting. This policy prescribes that the nationality of each passenger onboard is to be recorded and made readily available to search and rescue personnel as appropriate.